Vacuum excavation (or suction excavation as it is sometimes known) provides a safer, low risk alternative to traditional excavation techniques. Our high suction powered trucks expertly lift away ground, with little risk of damage or personal injury. It is the smartest, safest, fastest and most economical method of excavation. Ideal for undertaking roadworks and utility line installation, the suction excavation method can be used to repair or replace buried assets. Whether you’re excavating 1 metre of cable, or the entire road, a suction excavator can assistant your team on-site more safely than manual hand digging. This advanced technology provides precision excavation, with complete control thanks to the remote controlled excavation arm. 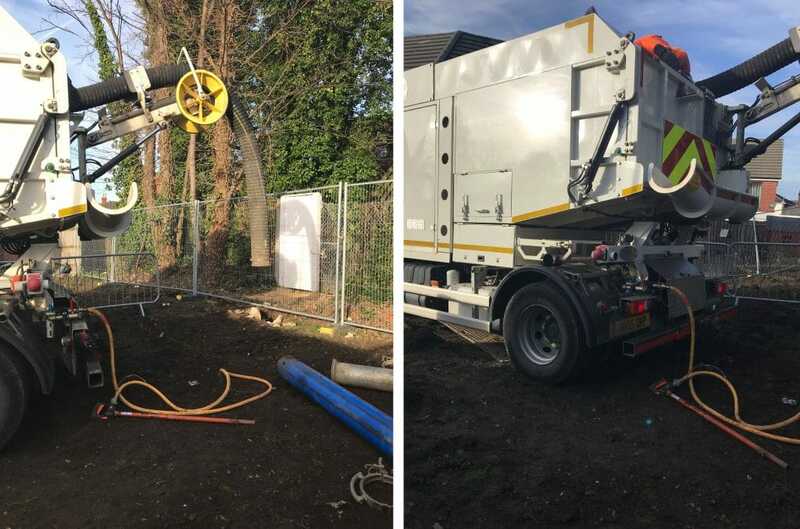 Once all underground utility lines have been located and clearly marked, the suction excavator makes light work of removing ground material for quick maintenance and repair. No dig suction reduces noise and disruption to local residents and also limits vibrations that could possibly lead to damages on or around the site. Some site conditions may make the use of hand tools to expose underground facilities difficult or even impractical, that’s when our Citysuckers are ideal. Their smaller frame makes them easier to use in hard to reach areas and also keep the space taken up by machinery and workers to a minimum. The precision, no-dig approach, eliminates almost all risk regarding strikes to the service lines. There are up to 60,000 service strikes every year (Clyde & Co), with an average costing of £7,000 per strike (USAG). Vacuum excavation is not only the safest method, but also the smartest and most economically friendly. Think you need a vacuum excavator? As the market leader, we can offer the largest vacuum excavator fleet in the UK, with full nationwide coverage 7 days a week, 24 hours a day. Our vehicles are available on operated or self-drive hire, from a single day manned excavation to longer hire terms with full training for your workforce to self-operate. Our operators hold CSCS and EUSR certifications, as well as a range of other accreditations to safely work on your site. Why choose Pier (UK) as your civil engineering contractor? With over fifteen years experience working in the civil engineering and drainage industry, our highly skilled team can provide expert advice on the best method of excavation to reduce time and lower risk. For sites requiring full surveys prior to excavation works, we can provide an extensive Ground Penetrating Radar (GPR) survey to identify underground lines, including plastic pipework. Our fleet of vacuum excavators are available a range of sizes to meet your site requirements.